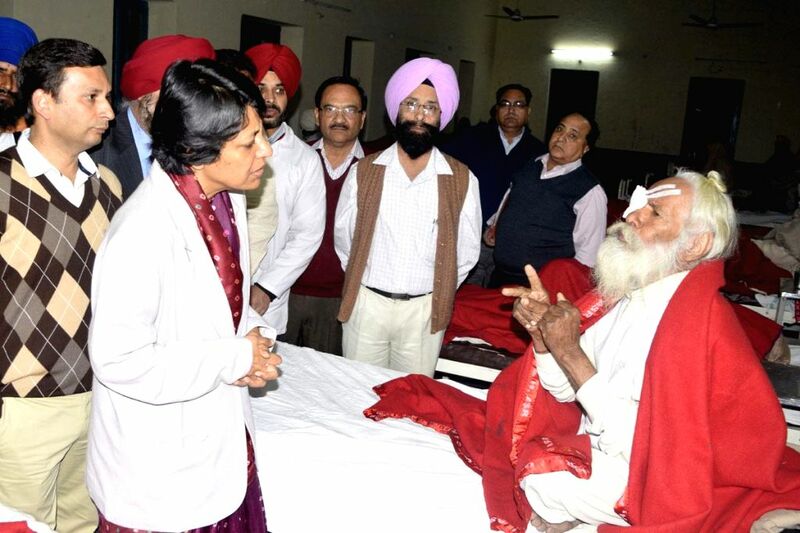 New Delhi: Punjab Principal Secretary Health and Finance Vini Mahajan visits people who lost their vision after undergoing eye surgery at an eye camp organised by an NGO in Gurdaspur district of Punjab; currently being treated at an Amritsar Hospital on Dec 5, 2014. At least 15 people lost their vision after undergoing the cataract surgery. The Punjab government has ordered a probe into the free eye check-up camp and also announced interim relief of Rs.1 lakh to each of the affected families, whose members have lost eyesight in the tragedy.